As seen in bikeradar, velonews, and road.cc. This all-new aero road bike minimizes drag so you can accelerate and sprint faster. It also introduces full disc-brake integration for more confidence and control in all types of weather and conditions. 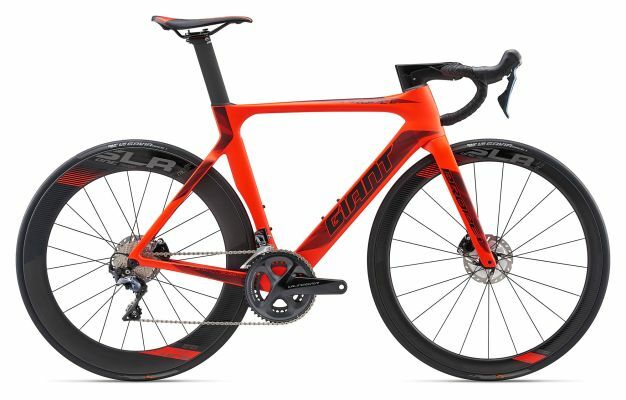 Engineered with AeroSystem Shaping technology and Advanced-grade composite, it delivers proven aero performance and one of the lightest frames in its category. New integrated disc brake technology includes flat-mount calipers and thru-axles for wheel stiffness and streamlined performance. The lightweight, easily adjustable Vector composite seatpost further minimizes drag. It all adds up to a race-ready machine that helps you leave the competition behind. This is an advanced-grade composite frameset built with mechanical Shimano Ultegra components, a 52/36 crankset, an 11/28 cassette, and Shimano Ultegra hydraulic disc brakes.